Please Select Brenda Sneathen.. Bruce Patrick J.. Charlotte Whatl.. Darlene Jones David Wolfe Eileen Rudisill.. Helen Page Jim Howard Judy M Johnson Kwei-lin Lum Larry Bassin Linda Hoerner Marilyn Henry Norma Lu Meehan Paper Studio Pr.. Sandra Vanderpo.. Tom Tierney Vintage Reprodu.. 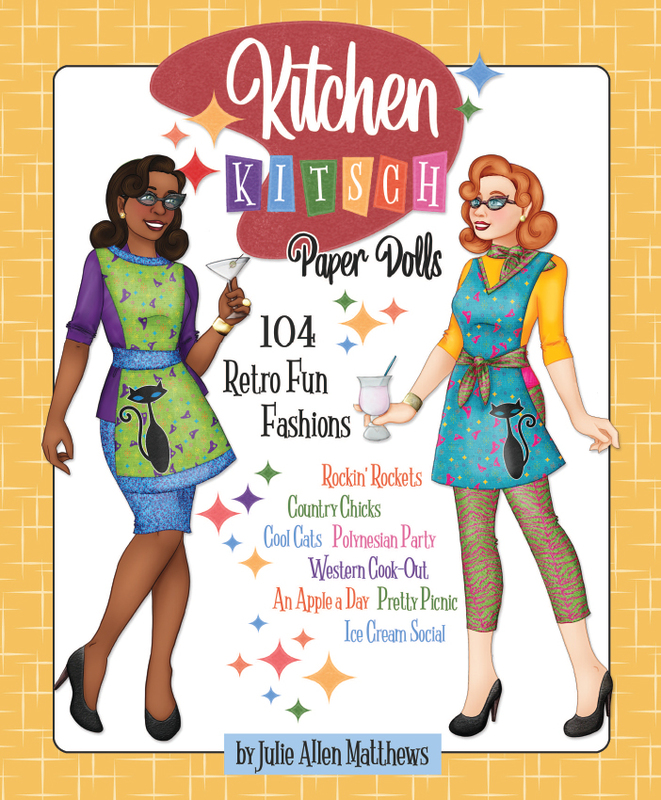 It's time for a retro paper doll party! Put on your cat-eye glasses and pick an outfit from one of eight kitschy wardrobes: Rockin' Rockets, Country Chicks, Cool Cats, Polynesian Party, Western Cook-Out, An Apple a Day, Pretty Picnic and Ice Cream Social. We can't have a party without food and drinks, so we're including eight retro fun recipes like Rockin' Rockets Mini Moon Pies, Cool Cats Tuna Salad, Ice Cream Social Lemon Clouds and Polynesian Party Punch. And then challenge your guests with a pop trivia quiz about retro food, chefs, film and TV. 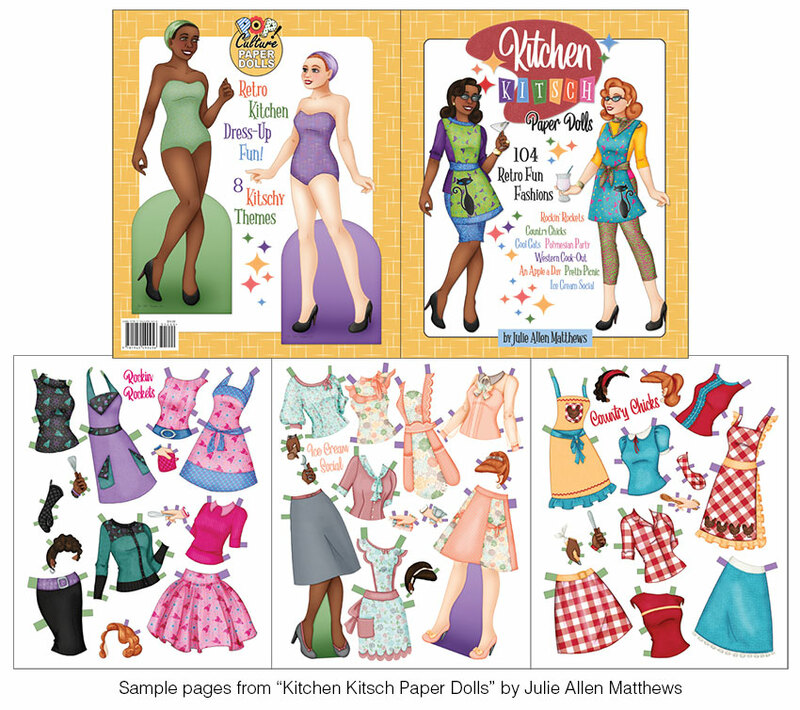 Illustrated by Julie Allen Matthews, there are 104 fashions in all to cut out, dress up, display and share! Makes a perfect hostess gift! Model: 104 Retro Fun Fashions!